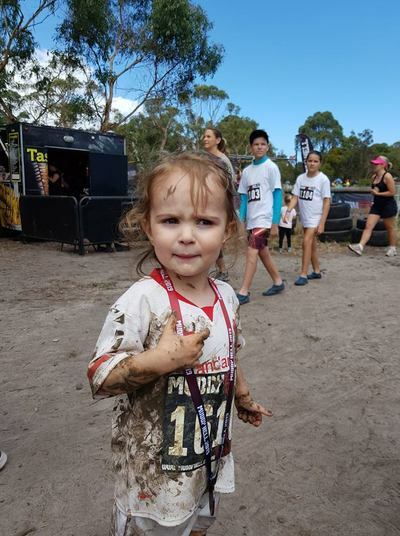 KidTown Melbourne goes to hell..Muddy Hell that is! Once upon a time Miss 3 and I thought it would be a good idea to enter Muddy Hell. Well the day finally came and to Muddy Hell we went. 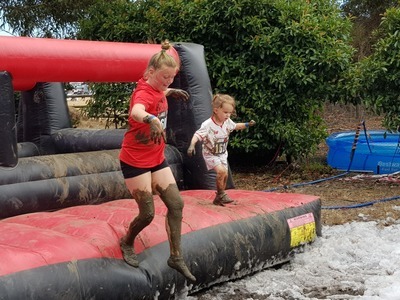 I took part in the 7km adult obstacle course while will Miss 3 took part in the children's 2km course "Muddy Hell Little Devils." The 7km cause was tough. With obstacles to challenge the most fittest of people... which for the record I am most certainly not. Climbing, carrying, ducking and diving, and of course THE MUD!!!! I can now officially say that I have been up to my eyes in mud, and I loved it! The atmosphere amongst both the staff and contestants was fantastic, filled with fun and encouragement from start to finish. Roars of belly busting laughter could be heard all over the course. Miss 3 and her friends completed the 2km course. It was filled with challenges (some Miss 3 needed some help with) that let her experience something she had never experienced before, though she attempted everything with fun and determination. With huge smiles on our faces Miss 3 and I proudly collected our medals for completing our courses. Roll on the next the challenge. 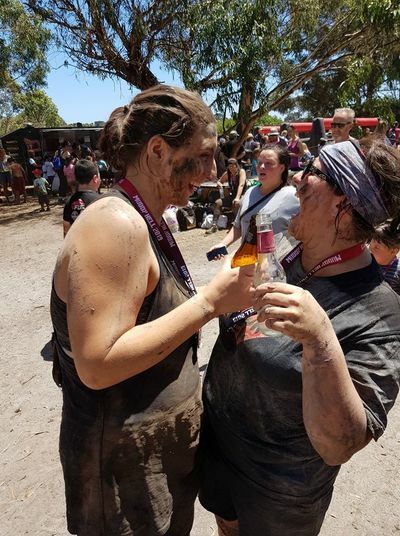 To find out when the next Muddy Hell will be, stay tuned to muddyhell.com.au and facebook.com/helliswaiting. We will (of course) keep you posted on the next event on KidTown Melbourne too.